Top CMS officials signaled this week that the agency will consider altering Medicare Advantage quality ratings to adjust for socio-economic characteristics of a plan's enrollees. Health plans that primarily serve low-income members and people who are dually eligible for Medicare and Medicaid complain they unfairly get lower star ratings that make them ineligible for bonuses and put them in danger of losing their Medicare contracts. The CMS has the statutory authority to boot a plan if it has fewer than three stars for three straight years. “Our partners in Medicare Advantage need to have proper incentives to care for dual-eligibles and lower socio-economic status individuals,” acting CMS Administrator Andy Slavitt said Monday during a conference organized by America's Health Insurance Plans, the health insurance industry's largest trade group. The CMS plans to outline proposals to address the star-rating disparity in a forthcoming request for comment on updates to the program for 2017, Sean Cavanaugh, deputy administrator and director of the Center for Medicare, said during a Tuesday session of the AHIP conference. Two weeks ago the Medicare Payment Advisory Commission said it would wait to see how the CMS responds to the disadvantages some plans perceive in the quality ratings before making recommendations on the matter. 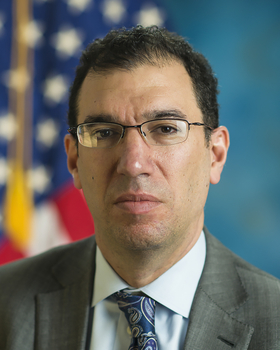 The comments from Slavitt and Cavanaugh were somewhat surprising because the CMS has previously downplayed the effects of socio-economic status on the ratings. The agency described the effect as “small in most cases and not consistently negative” in a summary of findings from an analysis the CMS commissioned by the RAND Corp.
Health plan leaders attending the conference said they were thrilled by the change of tone.